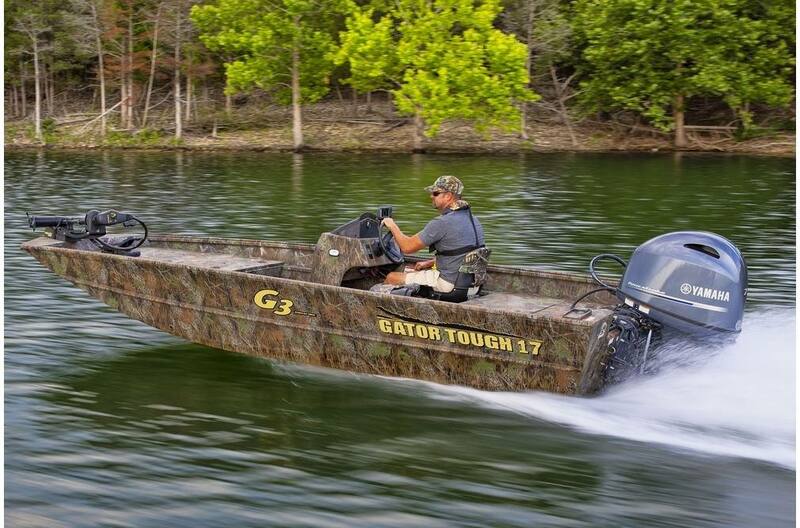 New G3 Gator Tough 17 SC with a Yamaha 60hp four stroke outboard! A brand you can count on for quality and dependability. This is an extremely versatile aluminum boat that will last many years in all kinds of conditions. Base rigging included as well. 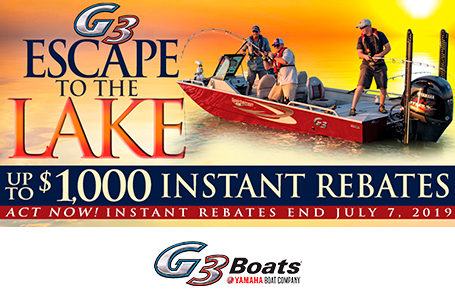 Talk to our sales team about getting the boat customized to meet your needs! These versatile jons achieve Gator Tough™ status for durability. Built-in fuel tank, large under-deck storage, rod holders, aerated livewell and galvanized trailer as standard equipment defines value. Dependable Yamaha power adds to the overall quality of these outstanding packages. "Quick-flip" seats reveal easy access storage for both passenger and driver. With three rod holders on the port side, the Gator Tough™ 17 SC can keep rigs ready to fish. Large 19 gallon livewell is trimmed to hold a Plano® bait bucket. Package Length: 21 ft. 8 in. Dry Hull Weight: 895 lb. Livewell Dimensions: 10 in. x 29 in. - 19 gal.